This was the first big reference set I ever purchased. 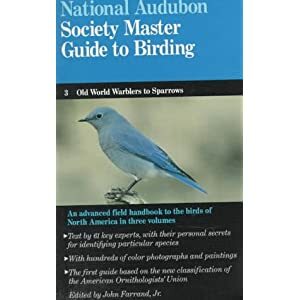 Even though they use photographs it does an outstanding job as a quick reference, if you can find the bird in the proper volume. Being a 3 volume set, it’s not the kind you would lug around the field with. It’s proper place is within arms reach as you study up on your next target bird. My edition was copyrighted in 1983. On all road trips or any bird trip which lasts more than a couple of days, this is my reference book. Like the title suggests, “Complete”, you get everything in one volume. This book picks up where their field guide leaves off. It goes into more detail with comparative species pictures that National Geographic is known for. It’s too big for the normal field bag, so just leave it in your car and refer to it when birding questions arise. My edition was copyrighted in 2006. If you’re a native Ohioan, and a birder, this is a must. If you want to know anything about any bird that set foot in our glorious state, you want to get this book. It’s a no frills book with no pictures, just a frequency map of Ohio for each listed species. At times it can be over the average persons head with a lot of stats and other info, but if you take your time a read closely, you’ll be able to understand that the woodpecker you just saw wasn’t an Ivory-billed. My edition was copyrighted in 2001. 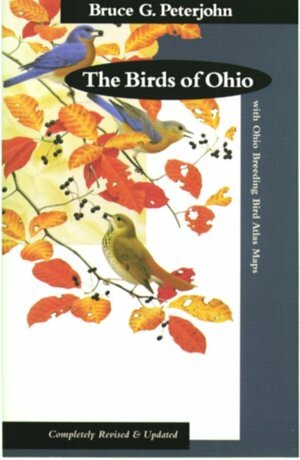 Written by native Ohioan Bill Thompson, this fun and informative book is perfect for the new or novice birder. I purchased it after seeing it at Phil’s house and since it wasn’t really that expensive, I thought why not. 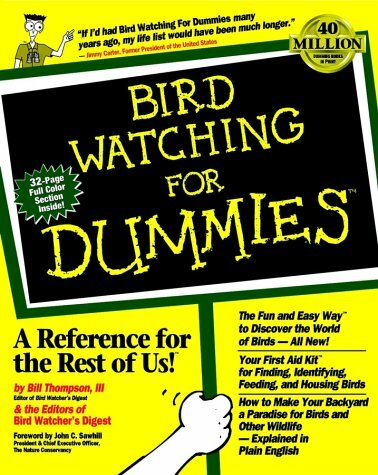 It breaks down the art of birding as all the other “Dummies” series of books have formatted. Added with that the sense of humor of Bill Thompson, and you have a pretty darn good book. And if you have any questions, is certainly easy to find the answer. Like I said a great book for the beginner and novice, however if you’re past this stage you might want to pass on this book. My book was copyrighted in 1997. 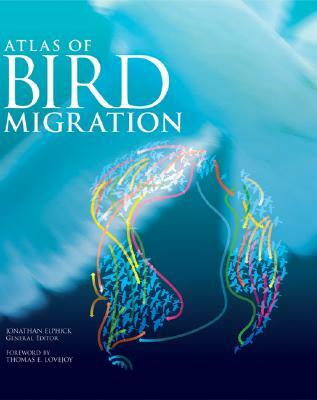 Identify Yourself: The 50 most common birding identification challenges. Another book by Bill Thompson, however this one was worth the money. As the title implies, Bill Thompson talks about 50 birds and the common mistakes birders make when trying to ID them. Once again his use of wit and some nice pictures he guides you through the usual pit-falls most birders fall into when having to identifying common birds. I give it 2 thumbs up. My book was copyrighted in 2005. Everything you wanted to know about warblers, but were afraid to ask. This pint size blockbuster is the bees knees if you have any question or want to explore the world of North American Warblers. It’s about as in depth as the normal birder wants to go without having to go to college. They’ll take a particular species of warbler and go over in fine detail everything you might want to know about the bird. If you’re a big warbler fan, and who isn’t, this is a must have on anyone’s Christmas list. My book was copyrighted in 1997. 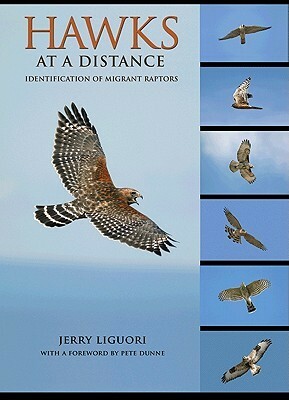 Being one who lives in a part of the country where we’re pretty limited on different Raptor species, these 2 titles I found we’re very helpful. It seems for the most part that when we as birders spot a Raptor their either soaring overhead, or zipping through the forest. Granted when we do find them perched, making an accurate ID is in our favor. However to make a proper ID on a raptor riding the thermals a half a mile away can pose a whole different set of problems. 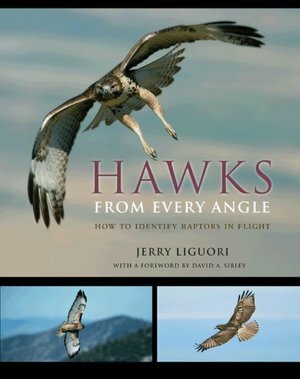 These 2 books assist the birder through some great photography, with detailed descriptions of field markings, while assisting with accurate identification of Hawks, Eagles, and Falcons. So would these books be useful when you’re out in the field? Well, maybe yes, and maybe no. They’re small enough to pack away with you if Hawking is your objective for the day. However, for just a day of birding, I’ll leave them at home. Knowing the different species of Raptors you might encounter, during specific times of the year will greatly improve your chances of making a proper ID. However you never know when that rarity might make a visit to your neighborhood, then you’ll be ready. Remember the Ferruginous Hawk that was spotted in February 2012. It was never properly identified till April. I think these 2 books would have come in handy for this tough ID. 2 thumbs up! 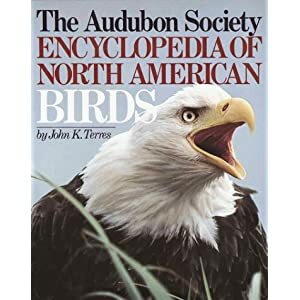 Take my gigantic “The Audubon Society Encyclopedia of North American Birds” and shrink it down and put a paper cover on it and this is what you’ll have. Retailing at only $14.95 I was sticker shocked at how low the price was, however not on to pay full price if I have to I picked up this little gem once again at my neighborhood Half Price Bookstore for $7.00. All species are included with all the pertinent info needed. This book uses symbols to indicate more details about whichever species you’re looking for. The problem I have with this is that you have to keep referring to the front of the book to the glossary of symbols, or until you memorize them. The symbols cover nest location and type, diet and foraging technique. 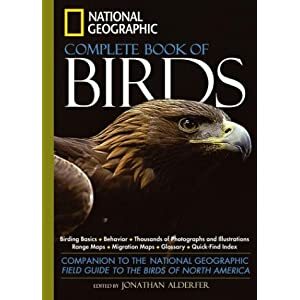 This book is definitely not a field guide since the information covered for the individual species covers breeding, displays, diet, conservation, and eggs. This is info normally not covered in just any field guide. 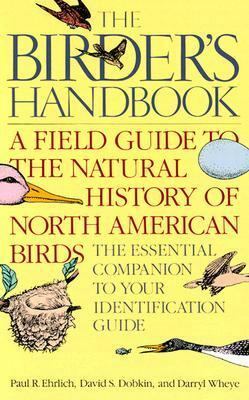 And since it comes in a size similar to a field guide, you wouldn’t want to do that with this book. You’d refer back to this book when you got home or before you went out to concentrate on that nemesis bird. A great brick of a book. 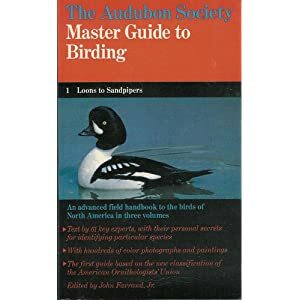 A definite must have for any birding library.